You are at:Home»Afghanistan»When mustaches attack! Unless you’re a comic-book villain or stuck in the 1980s, you’re probably aware that mustaches get a bum rap in the 21st century. This doesn’t scare away Marines, though. 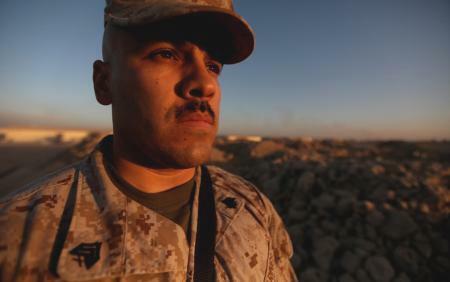 As this story out of Camp Leatherneck, Afghanistan, points out, they are an active participant in “Movember,” the month-long campaign to promote prostate cancer awareness by growing a fearsome ‘stache. For perspective’s sake, it’s worth pointing out that Marine Corps Times and the Military Times newspaper chain is in on the mustache action this month, too. Here’s our mustache team. I can say with 100 percent certainty that the last three weeks have been even more creepy in person.